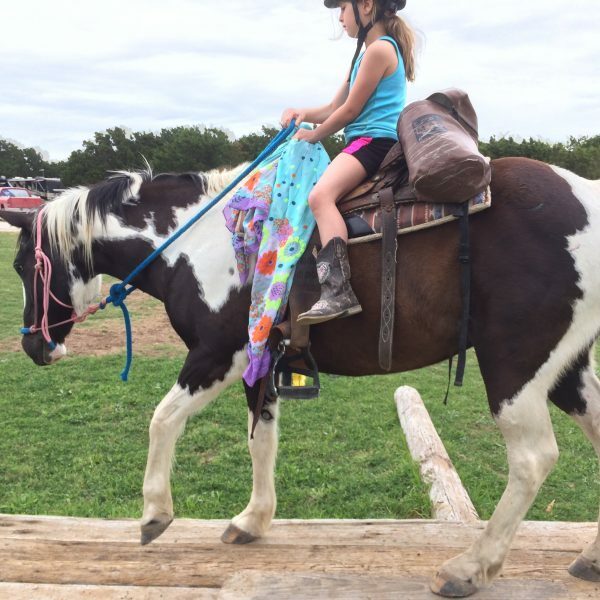 Parrie Haynes Equestrian Park is really the go-to place for overnight camping horse trips north of Austin (Of course, we are your stop for south of Austin and North of San Antonio!). 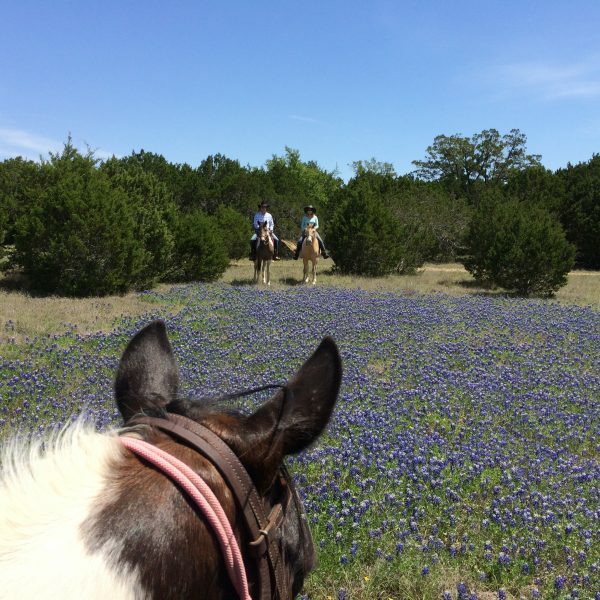 This Equestrian Park has endless trails, and the Blue Bonnets are outrageous. Texas wildflower season is fast upon us and if you haven’t had the chance to go trail riding past fields of this Texas state wildflower, then you are seriously missing out. Parrie Haynes offers photo ops galore for the equine photographer in the bunch. In this case, that’s normally me behind the camera, and I can’t even begin to explain how awesome it is to see the ground littered in blue. Take a romantic vacation to Parrie Haynes with your horses, or use some of ours! Above, a couple poses mounted across a field of Blue Bonnets. I’m mounted on Coca, our black and white paint mare who helps me capture the epic #lifebetweentheears movement that’s created a killer following on Instagram. While I don’t recommend riding at Parrie Haynes in the heat of the summer, as there is limited tree cover, it’s absolutely gorgeous in springtime when the weather is a bit cooler and the flowers are peaking their little heads out for the first time of the year. Parrie Haynes Ranch is located at 13816 North Maxdale Road, Killeen, TX 76549. It’s an easy stop from our location, just a little over an hour away. One of the things that makes this riding facility so great for families is the camping. If you’ve got a split group of folks and not everyone wants to ride, this is a fabulous stop for the family. Tent camping is available for the rugged, or book a cabin for a rustic, but slightly less wilderness-filled adventure. Another great perk of Parrie Haynes is the obstacle course. 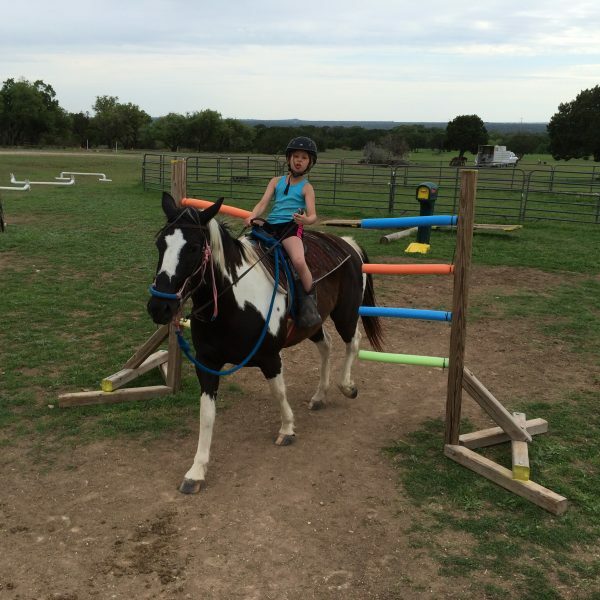 Here, Coca is pictured with a confident 8 year old girl, who is directing the paint horse for sale over a balance beam. Coca was happy to demonstrate her potential playday skills at PHR, and as you can see she’s even happy to do it in a halter. No bridle needed! A group of trail riders watches admiringly as Coca and her itty bitty rider strut their stuff on the balance beam. This obstacle, at the head of the trails by the cabins and main building, is a great place to start your ride. In the background, you can also see a mailbox (which we all know eats horses), a noodle wall and a square area to walk through with cut up hoola hoops that are sure to challenge even the best horses. Here, Coca (our playday horse for sale) braves the noodle wall. Behind you see the balance beam, mailbox and beaded wall to the left. There are pipes for small jumps in the back as well, and a tire filled with sand so you can practice a raised turn on the forehand with your horse. Parrie Haynes has round pens (pictured) as well as holding pens for horses. Last time we counted, they had 64 pens for folks staying for overnight horseback riding trails. It’s pretty impressive! Looking for a romantic getaway? Try the Sunrise Cabin at PHR for your overnight accommodations, and a day-long trail ride with the help of Maverick Riding. Parrie Haynes does not supply horses, but we will happily trailer out to meet your needs. We Maverick Riders have personally enjoyed staying the the quaint little Sunrise Cabin, and can’t complain at all about the price, which is very affordable. The cost of the cabin is $100 for two people, and $10 for each person thereafter. There’s a private room with a double bed, a loft with two singles and a sofa just waiting to be utilized by avid horseback riders and equestrians of all skill levels. Looking to book at Parrie Haynes? 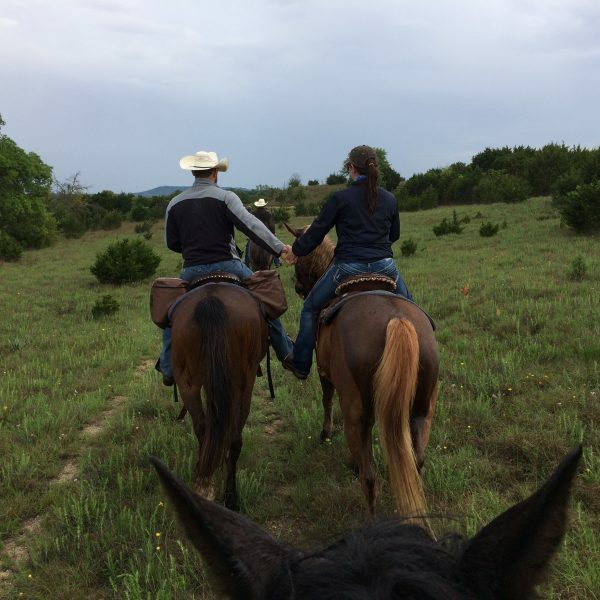 Call the lovely Ona at (254) 394-0330 if you’d like to book a cabin or want to trailer your horses out for a trail. Don’t have your own horses, or here on vacation and need to find a horse to ride? No worries! 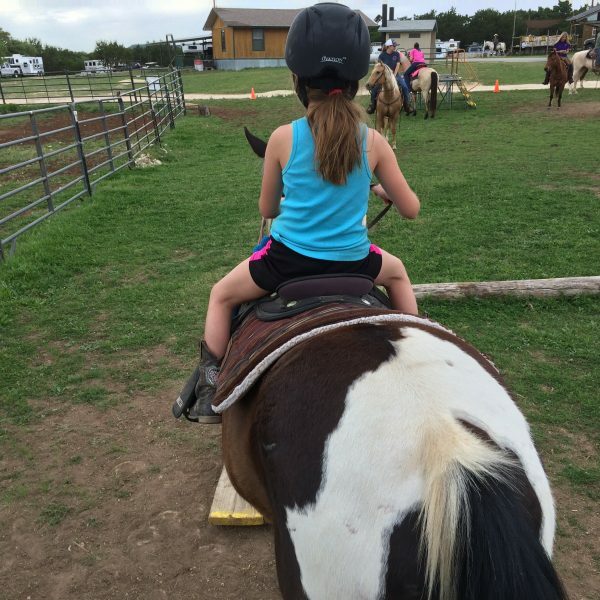 Call us at (512) 230-8413 for an amazing day (or weekend) at Parrie Haynes Equestrian Ranch in Killeen. Happy Trails, and God Bless!